Action Comics #1 (DC, 1938) CGC VG 4.0 Cream to off-white pages(est. $650,000+) is among the most coveted comic books in the hobby. The issue generates major interest regardless of its condition, and this is one of the highest-graded copies ever offered by Heritage Auctions. Ernst Gerber’s The Photo-Journal Guide to Comic Books rated it “scarce,” and CGC’s census lists just 40 unrestored copies. 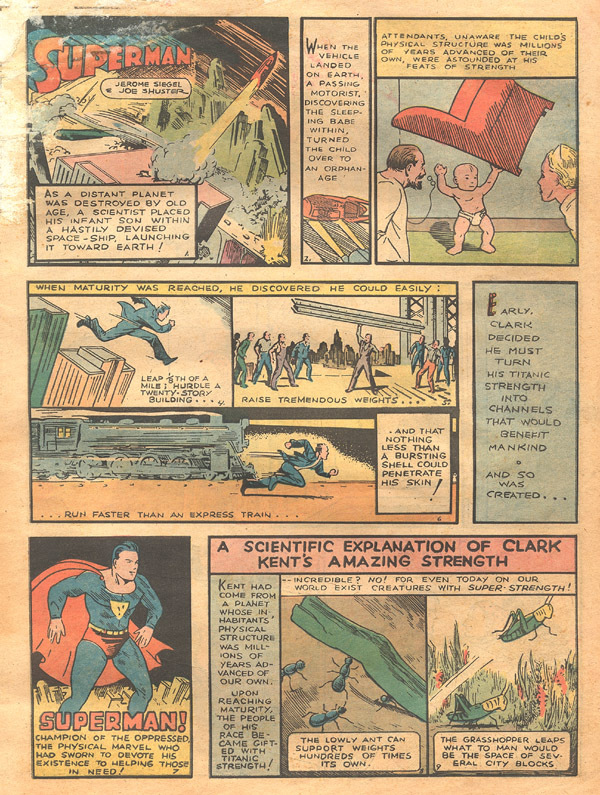 The first appearance of Superman launched the Golden Age of Comics, and every superhero that followed is in debt to the character created by writer Jerry Siegel and artist Joe Shuster (artist). The issue also sits atop Overstreet’s “Top 100 Golden Age Comics” list. 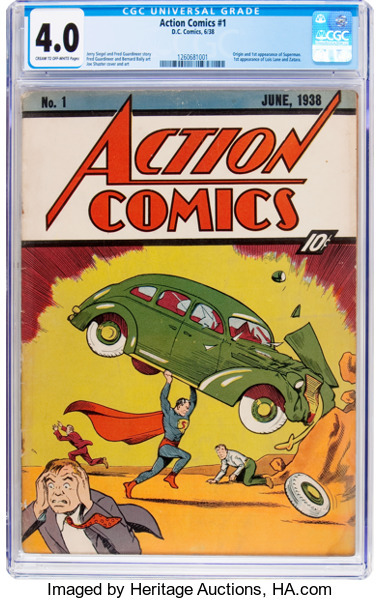 In 2014, a mint-condition of Action Comics No. 1 sold for a record $3,207,852 in an auction on eBay.